Mens 4s arrow-rightCreated with Sketch. The men’s 4s entertained Blueharts in the 4pm start at Sandy. The opposition arriving with many youngsters , many very skilful and very quick lads (essentially at the age before they discover beer, cigarettes and girls). The first half saw Shefford pretty much defending in waves, Barden snr and France keeping the midfield runners out of the game and Maxted and Coverdale making useful interceptions to keep the ball away from the Shefford goal. A goalless first half and a much needed breather for both sides at half time. The second half saw a goal frenzy ...well , ish , Blueharts breaking after a Shefford attack and squeezing the ball home past a diving Jack Prothero, Shefford back in it 10 minutes later with a Grant Maxted short corner deflected in the top corner of the net. 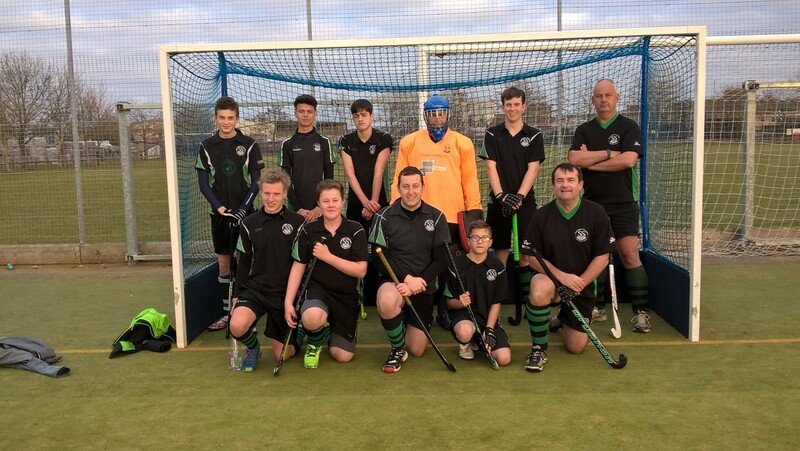 However despite the battling efforts of the Shefford players the opposition added two further goals (and 7/8s of another) to see the 4s a little derailed as they slip to their first defeat of the season. Without a doubt the better team won the game but a pleasing effort on display with Sam Giddings as ever running his socks off, Gully putting in a shift a left back and countless others doing themselves proud. The absolute highlight seeing Lewis Barden smashing the ball into his Dad’s knee from about 6 feet away and turning a useful attack into a scurrying defensive effort. An enjoyable encounter none the less with some food for thought ? Thanks to James Graham and Pete Seward for umpiring and the returning Trevor Bridger for his cameo (hopefully more to follow).